Every adventurous kid would love to have this gear! This cool LED headlight will excite explorers of all ages whether it’s in the wilderness or the backyard! 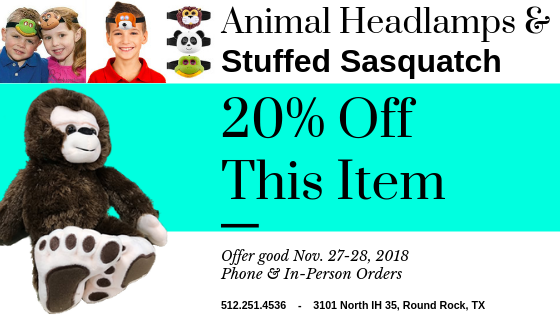 With a variety of animal headlamps to choose from like a brown bear, black bear, frog, raccoon, and more, you can outfit the whole family with their own special wilderness creature! The eyes light up and the fun begins. These animal headlamps have 2 modes, high beam or flashing. 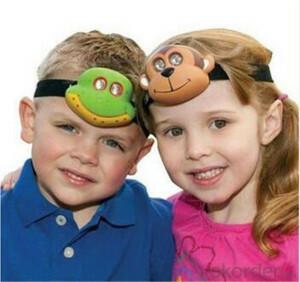 The head strap is adjustable from toddler to adult size and each lamp requires 2-AAA batteries which are not included. Along with the Wildlife headlamp, your young explorer will love a 15″ plush Big Foot stuffed animal. 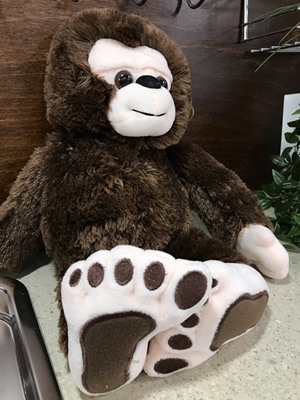 These guys are super soft and cuddly, With “Big Feet” and a cheerful smile, this Wildlife Critter is a great travel companion, sleeping companion or the start of a young camper’s wilderness collection! Don’t miss the savings on these two special gift items. The young and the young at heart will say “thank you”! Need a camper to go with those camping memories?